and a broken chord (same as a chord, except that the tones are played in quick succession). 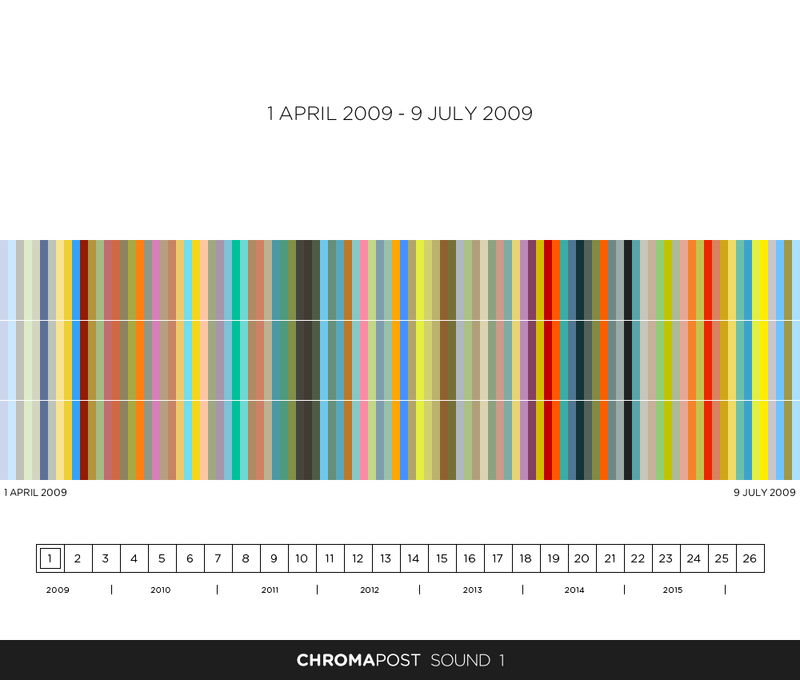 2600 chromaposts (1 April 2009 - 13 May 2016) are divided into 26 100-day segments. 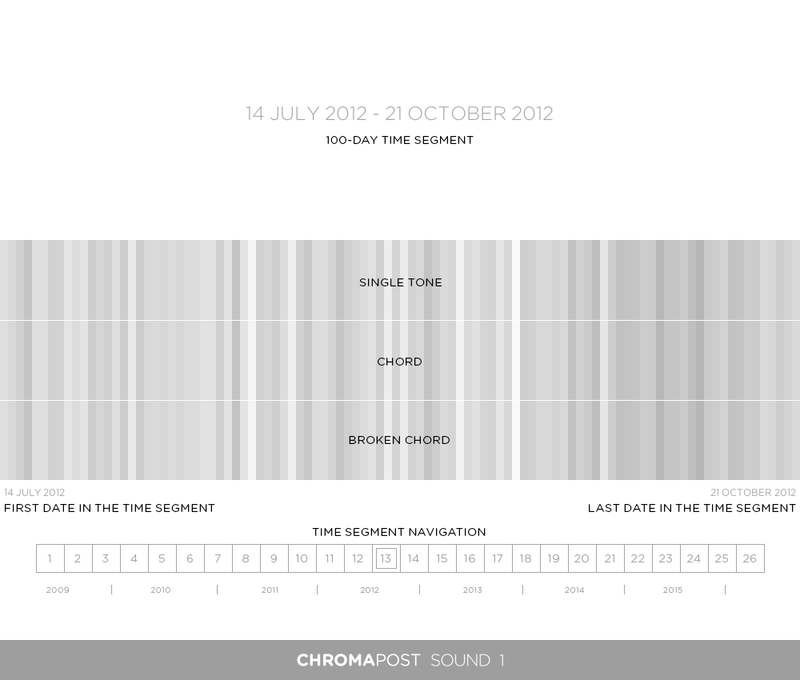 Choose a 100-day segment and click on color bars to play the acompanying sound or chord. Click on a number to get a different range of dates.